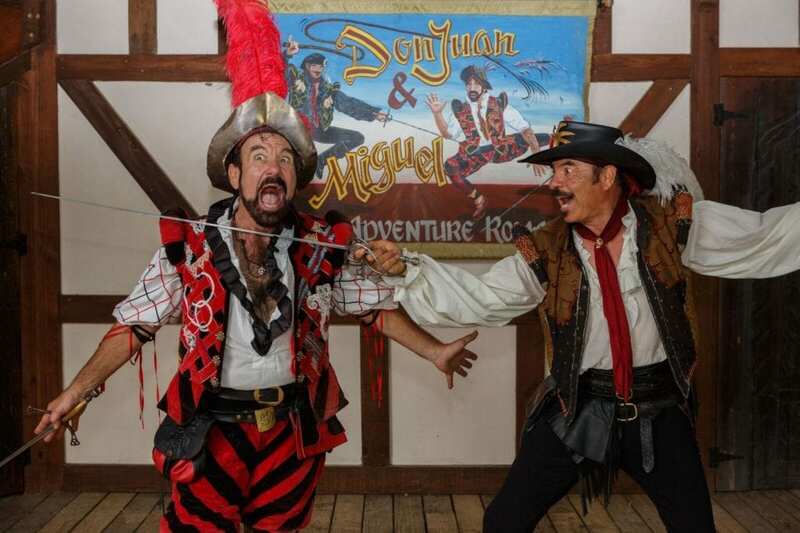 WAXAHACHIE—This Saturday, Scarborough Renaissance Festival® 2019 begins its 39th season with “Kids Free Weekend”. Up to three children ages 5-12 are admitted free with each paid adult – children 4 and under are always free. Seniors 65+ get a special discount this weekend as well with half priced tickets at the gate. Opening weekend is also Time Traveler’s Weekend celebrating Steampunk and all other time travelers with children and adult costume contests on both Saturday and Sunday. Scarborough Renaissance Festival® 2019 runs every Saturday & Sunday (and Memorial Day Monday) for eight consecutive weekends April 6 through May 27, 2019. Scarborough Renaissance Festival® is interactive fun for everyone, 16th Century Style. 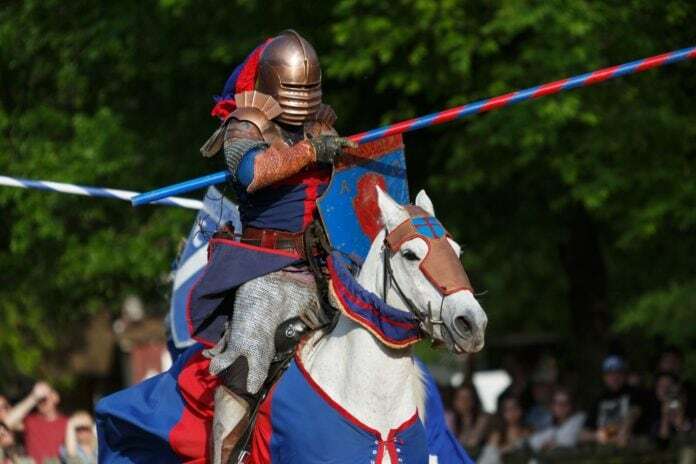 Visitors will enjoy full combat armored jousting, Birds of Prey exhibitions, 25+ stages of interactive and unique entertainment, the Mermaid Lagoon, Renaissance Combat competitions and Knighting ceremonies. You will also discover exquisite one-of-a-kind treasures at the 200+ shoppes and amazing artisan demonstrations along with Renaissance rides, games of skill, food & drink fit for a king and so much more! Come witness the musical mind of chaos with guest performer Randal Piper, April 6th & 7th and explore the creations of St. Thomas Brass Rubbings, Silverleaf Costumes, Living Art & Lanterns, Fuglyware Pottery, and Gentry Jewelry, our guest artisans. The wines featured this weekend at the Daily Wine Tasting Events will be the wines of Italy and the Daily Beer Tasting Events will feature the Beers of Texas. The Tasting Events have limited seating available and require a separate ticket. You must be 21 or older to attend. Upcoming themed weekends include Artisan’s Showcase (4/13 & 14), Celtic Weekend/ Easter Celebration (4/20 & 21), Royal Ale Festival & Spring Celebration (4/27 & 28) and Deaf Day (4/27). Each weekend also has a variety of special events. Scarborough Renaissance Festival® is open Saturdays, Sundays, and Memorial Day Monday, April 6 – May 27, 2019 from 10 AM to 7 PM rain or shine. Located in Waxahachie, Texas, Scarborough Renaissance Festival® is just 30 minutes south of the downtowns of Dallas and Fort Worth on FM 66 off I-35E at exit 399B. From Austin or Waco, follow I-35E north to Exit 399.